Circa 1911. 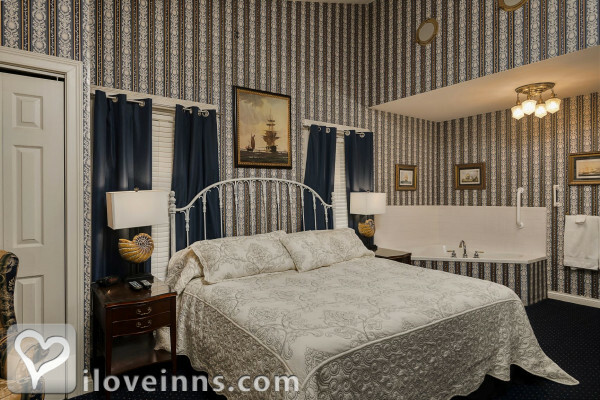 Located in the horse capital of the world, Montgomery Inn Bed & Breakfast is a restored 1911 Victorian in the Kentucky Bluegrass region of Versailles. This family-operated inn offers concierge service and many upscale amenities with Southern hospitality. Munch on fresh-baked cookies in the Library upon check-in, swing on the wraparound porch or nap in the double hammock. Snacks, beverages, and access to a microwave and refrigerator are in the Media Room. Play the antique baby grand piano in the front parlor. Stay in a guest bedroom or spa suite with a two-person whirlpool tub, cotton sateen sheets, oversized Egyptian cotton towels and terry robes. 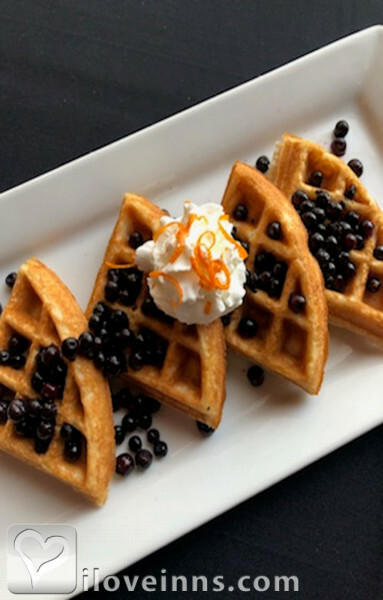 A hearty gourmet breakfast is served in the GardenSide Dining Room. Dinner is available by reservation.Location: Village/Small Town/ Horse Country/Bourbon Country. First Floor Original Wood floors, high ceilings. Two Bedroom Suite with 2 flatscreen tvs, sharing jacuzzi/shower combination bath en suite. First Floor king Suite with very large bathroom. Separate shower and double jacuzzi tub. Antique dressing table. Wingback chairs Flatscreen smart tv. First Floor King jacuzzi suite with twin Murphy Bed. Jacuzzi is in the bedroom, regular tub & shower in the attached private bathroom. Queen sleigh bed. Second floor jacuzzi suite. Ground level King Suite with private bath, double headed shower. Private entrance Queen Suite. Jacuzzi tub in bedroom, regular tub & shower in the private bath. Spacious King Suite. Separate double walk in shower and jacuzzi tub. Two vanities. Premium amenities. King Suite private jacuzzi bath with shower second floor. Two bedroom suites second floor, step down bathroom jacuzzi with shower, antique dressing table & chaise longe, double vanities and wet bar. Payment types accepted include Personal Checks, Visa, Travelers Checks, Master Card and Genesis Barter Exchange. Rooms: This property has 11 total guest accommodations with private bath, 8 with fireplaces, 10 with hot tubs, 10 with whirlpools, 10 total suites, including 2 two-bedroom suites and 1 conference room. The types of beds available include Twin, Queen and King. Cancellation: If you cancel your reservation within the seven (7) day period, there will be a $75 service charge. Cancellations during racing season (April, May and October), holidays, and/or special events require thirty (30) days notice. Types of meals: Early Coffee/Tea, Full Breakfast, Full Gourmet Breakfast, Country Breakfast, Picnic Lunches, Gourmet Lunches, Gourmet Dinner, Afternoon Tea, Snacks/Refreshments, Banquet Service, Wine and Hors d'oeuvres. Amenities In Room: Air Conditioning, Cable TV, Reading Lamps, CD Player, Refrigerator, Snack Bar, Central Air, Stereo, Clock Radio, Telephone, Television, Desk, VCR, Hot Tub/Spa/Jaccuzi, DVD, Hair Dryer, Bathrobes, Bath Amenities, Wireless Internet Access, Iron/Ironing Board, 600-count sheets, Egyptian cotton towels, Wine & beverage set-ups, Periodicals and DVD movies. Amenities On Site: Library, Parlor Games, Copy Machine, Phone, Fax, Fireplace, Television, VCR, Laundry Facilities, Gift Shop, DVD and Complimentary snacks & beverages. Business Traveler Amenities: Desk, Television, Wireless Internet Access, FAX On-site, Iron/Ironing Board, Hair Dryer, Gym Nearby, Off-site Dry Cleaning Services and Flexible Check in/out Times. On-Site Spa Services: Body Scrubs and Fitness Center. Events Hosted: Honeymoons, Meetings, Family Reunions, Seminars, Romantic Getaways, Receptions, Dinners, Luncheons, Parties, Seminars, Workshops and Meetings. Other Activities: Antiquing, Art Galleries, Bicycling, Canoeing/Kayaking, Fishing, Hiking, Horseback Riding, Live Theater, Museums, Parks, Shopping (Local Crafts), Sports Events, Major College, Tennis, Wineries, Bourbon Distilleries, Candy factory, Keeneland Horse Racing, Kentucky Horse Park, Red Mile Harness Racing, Shaker Village, Berea Art & Craft Colony, Mammoth National Park, Diamond Caves and Kentucky River. 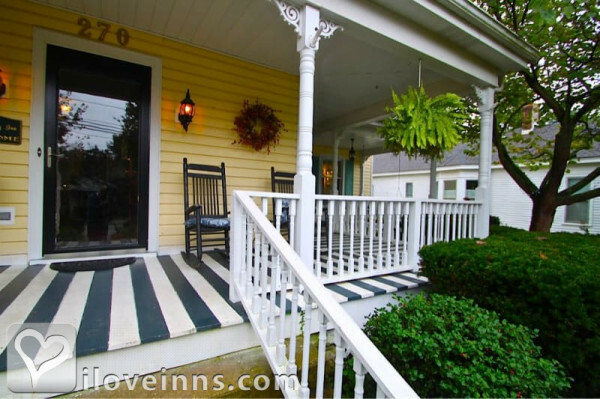 1911 restored Victorian with wraparound porch furnished with beautiful antiques, moldings, lighting and ceiling medallions. Peck out a tune on the old grand piano in the parlor. Historic walking tours.